Sat. February 27th 2016, 8-9:30pm - Gordon Biersch in Buckhead. The show is from 8pm to 9:30pm, but doors open at 7pm so join us for dinner and drinks before the show and avail yourself of the great selection of food and beverages at Gordon Biersch. Join us for Pocket Protectors & Other Fashion Statements, the 11th annual comedy show sponsored by the MIT Alumni Club of Atlanta. This year our headliner is Dan Weeks, one of the most popular comedians in Atlanta. Opening for Dan is our feature act Zain Sharif, premed student from Georgia Tech. Tickets are available on-line (see below). 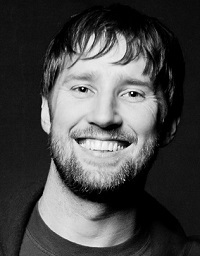 Award-winning comedian Dan Weeks is one of the most popular comedians in Atlanta. 2009 saw Dan win “Favorite Local Comedian” and “Best Performance of the Year” from the Atlanta Stands Up awards and in 2010 he won “Atlanta’s Most Influential Comedian”. Your feature act, Zain Sharif, is double major (biology and business) premed student at Georgia Tech. He is a member of the Georgia Tech Geekapalooza tour, and appears regularly throughout the Atlanta area. Tickets are $15 in advance or $20 at the door, but we often sell out so be sure to get your tickets early. This show is sponsored by the MIT Alumni Club of Atlanta, but is open to the public so normal people can enjoy the fun too. The show is recommended for patrons 16 and over unless your kids are already in therapy. 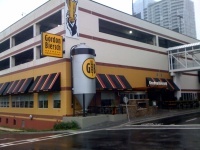 The Gordon Biersch Brewery and Restaurant in Buckhead is located at 3242 Peachtree Road NE, Atlanta, GA 30305. They have a great selection of food, beer, wine and cocktails, and free parking. Email us if you have questions about the show.